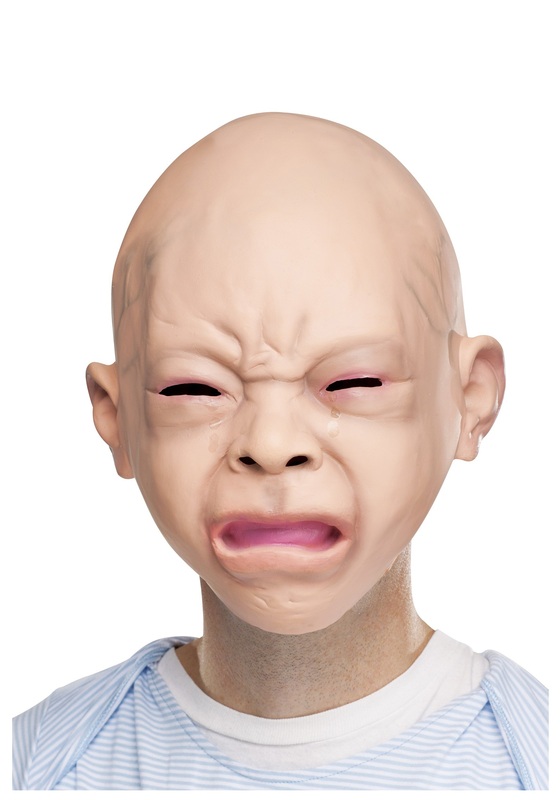 You can read the name of this mask in two ways: yes, there is the obvious way that this is a mask of a crying baby's face. You knew that already. But it may also mean that it is a mask that will make babies cry. It's a professional baby crying mask, guaranteed to make any baby cry at the mere site of it. It may also make grown-ups cry, although we're not 100% on that. But this mask definitely has an uncanny valley thing going for it, you know? Like sure it's obviously a mask but it also almost kinda looks real. You can see they obviously see they based it on a real crying baby, but... is it possible they've gone too far? They were so busy wondering if they could they never stopped to ask if they should. But here we are, and here you are buying it. Sure, it's a bit creepy, but that's kind of the point, right? It is for my husband and he loves it! He started wearing it the day it came it!